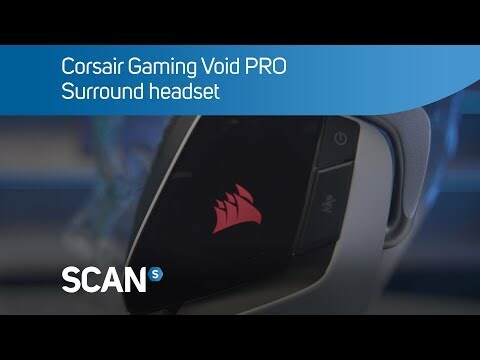 Product Overview The VOID PRO SURROUND headset provides exceptional comfort, epic audio performance and legendary CORSAIR durability to deliver the ultimate gaming experience. Microfiber mesh fabric and memory foam ear cups let you play for hours while providing airflow and comfort. The precision of custom tuned 50mm speaker drivers and an all new noise cancelling microphone provide crystal clear communication. Enjoy multi-platform compatibility with PC, Xbox One*, PS4 and mobile devices. *May require Microsoft adapter sold separately. The included PC USB adapter unlocks Genuine Dolby® Headphone 7.1 surround delivering immersive multi-channel positional audio. Features • Ultimate Comfort: Breathable microfiber mesh fabric and memory foam provide exceptional comfort while reducing heat build-up and moisture. 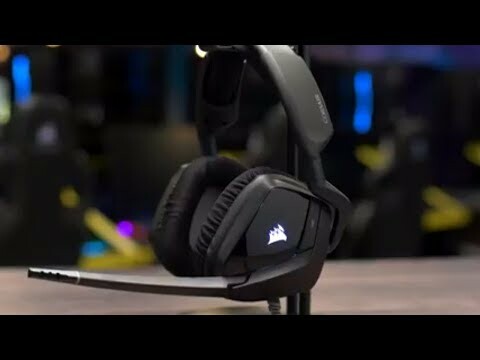 • Premium Build Quality: Legendary CORSAIR build quality ensures long term durability. • Precision Gaming Audio: Custom tuned 50mm neodymium speaker drivers bring the action to life with wide range and accuracy. • Multi-Platform Compatibility: Use on PC, Xbox One*, PS4 and mobile devices. *May require Microsoft adapter sold separately. • Crystal Clear Microphone: All new unidirectional noise cancelling microphone reduces ambient noise for enhanced voice quality. 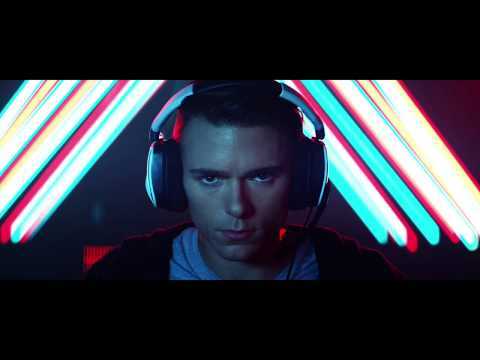 • Epic Surround Sound: The included PC USB adapter unlocks Genuine Dolby® Headphone 7.1 surround delivering immersive multi-channel positional audio that puts you in the middle of the action. • Discord Certified: Play with the confidence that your microphone and audio drivers have been tested and evaluated for crystal clear communication and outstanding sound. • CUE Control: The included USB adapter unlocks CUE software providing full control over your headset’s features through an intuitive and simple to use interface.